I walked into the bakery yesterday to get some soup and THAT is what I saw. 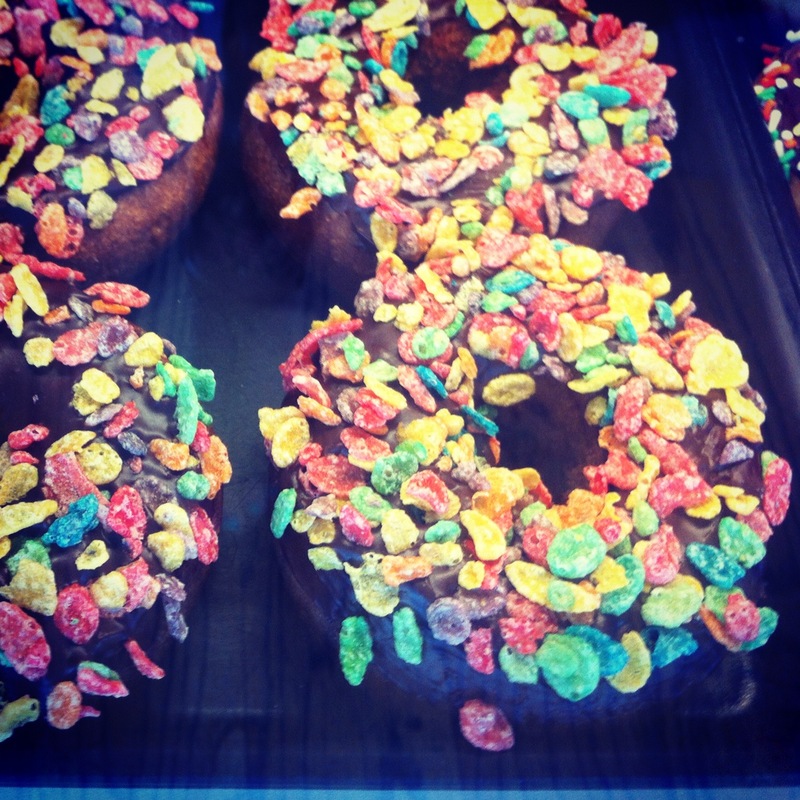 A chocolate donut with chocolate frosting and FRUITY PEBBLES!!!!!! Do you understand how hard it is to enjoy SOUP when you cannot stop imagining yourself eating a CHOCOLATE FRUITY PEBBLE TOPPED DONUT?!?!?! ?